Another online resource that you may be familiar with is the amazing ReadWriteThink.org. (http://www.readwritethink.org/search/?resource_type=16) They offer 57 interactives for creating student products in all grades K-12. 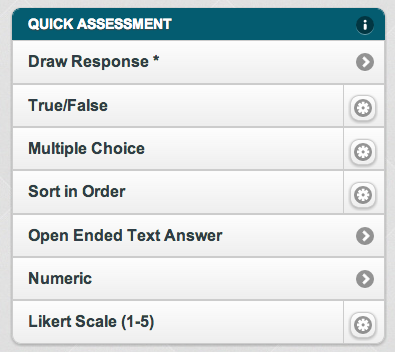 You can search by grade level, topic, learning objective and more. The problem is that their interactives only work in a web browser on a computer. They are, however, slowly creating free iOS apps of their most popular online interactives. I've been looking for a free timeline app for a long time so I was very excited to recently learn about the RWT Timeline app. With the app, students can create timelines by date, time or event. Multiple user accounts can be created so that students sharing iPads have their own space to save drafts if they don't finish in one class period. The final product can be saved to the camera roll or emailed. 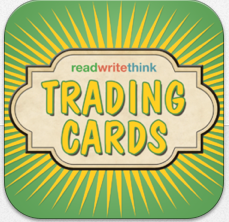 I shared the awesome Trading Cards app on this blog in the spring. If you haven't tried it, be sure to check out the blog post to learn more. 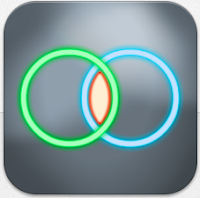 I mentioned the VENN Diagram app in the blog post about the Mind Mapping app category. Students can create VENN diagrams with up to 3 circles. Just like the Timeline app, drafts can be saved and final products can be printed or emailed. Stay tuned for more awesome free apps from ReadWriteThink.org! 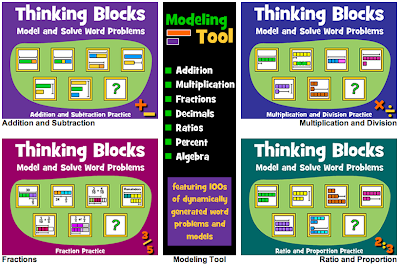 Many of you have probably used the Thinking Blocks online interactives from Math Playground but did you know they are now free apps too? 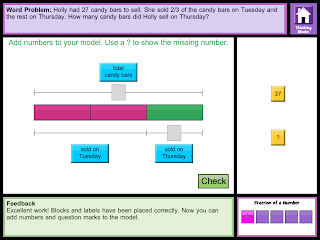 They are an awesome resource for helping students understand how to solve word problems by using online manipulatives in a step by step manner to create concrete models of their solutions. 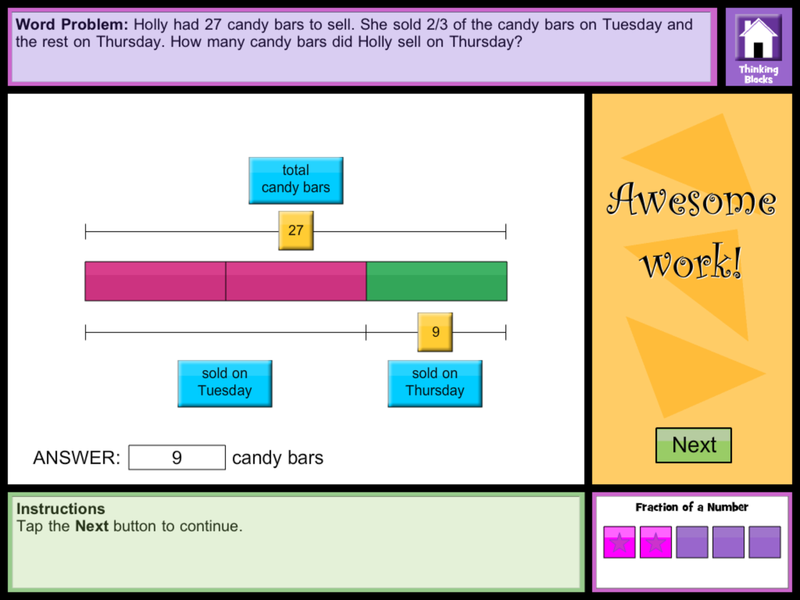 Both versions (online and apps) offer word problems in 4 categories: addition/subtraction, multiplication/division, fractions, and ratio/proportion. 1. Students are presented with a word problem. 2. First they use the blocks to label the known and unknown parts the problem. 3. Then they fill in the known and unknown numbers. 4. Finally, they solve the problem. 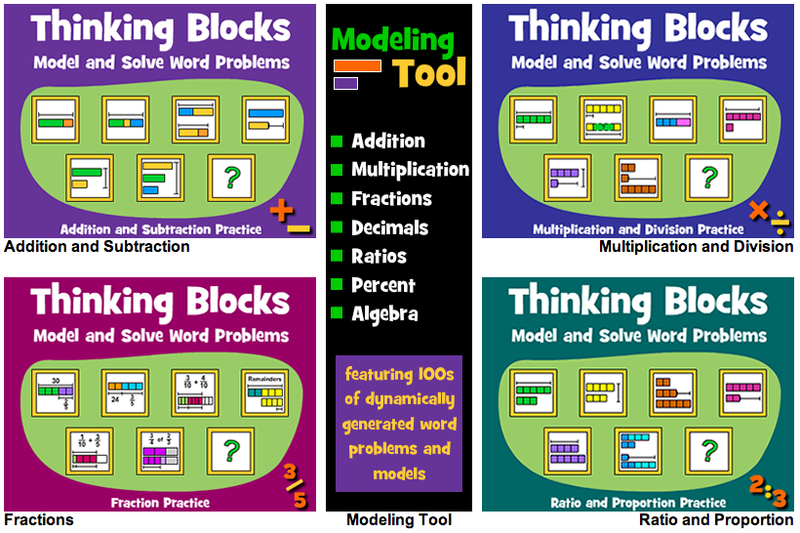 Check out this great resource today online at http://www.mathplayground.com/thinkingblocks.html (computers only) or download all the Math Playground apps at https://itunes.apple.com/us/artist/math-playground/id498617244. Infuse Learning is a great (and free!) 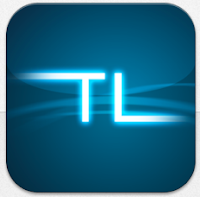 tool for formative assessment that works on every device. There's no app! Just go to the website on your iOS or Android device or computer and choose the appropriate login in the top corner. Teachers create an account and students join the teacher's "room". There's no need to create student accounts. 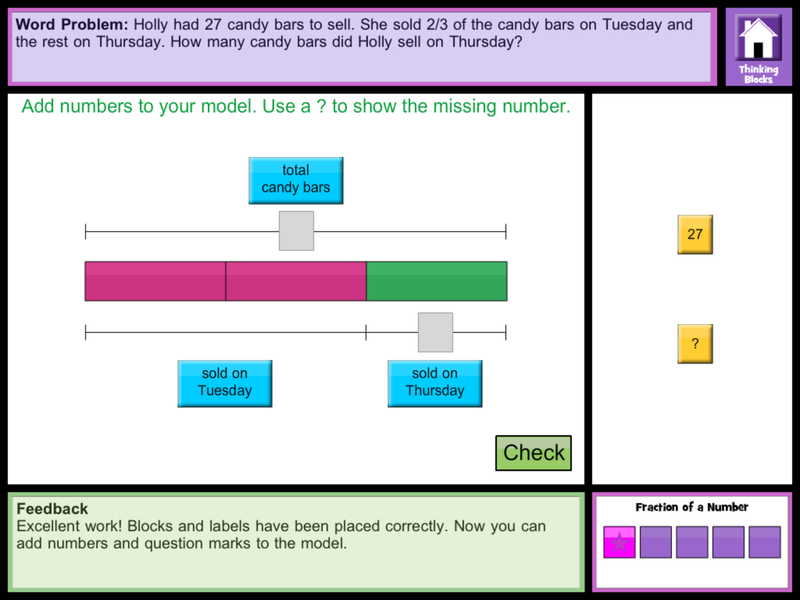 Teachers can ask questions "on the fly" or create quizzes ahead of time. 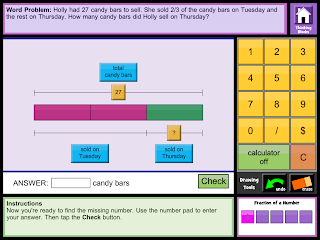 There is a wide variety of available question types including multiple choice, true/false and even a draw response where students can work a math problem or draw a diagram. 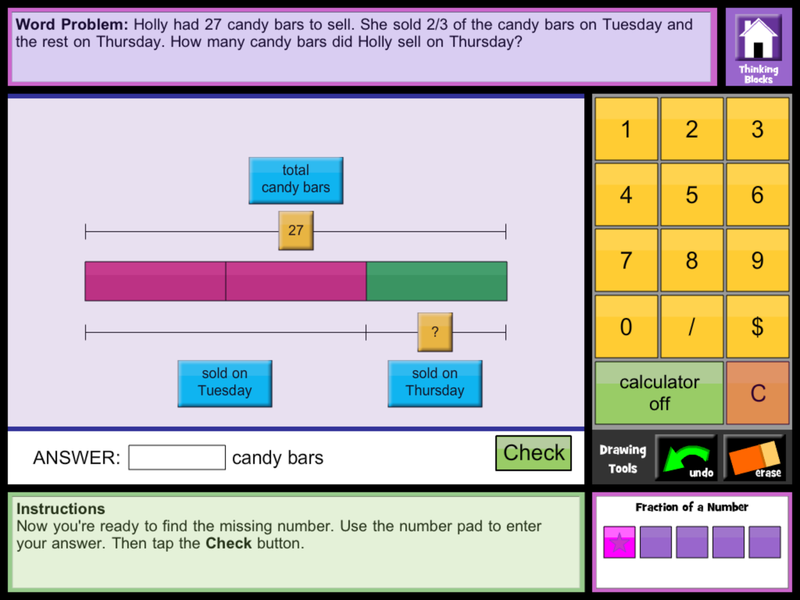 The "Interactive Tools" give teachers even more options. InfuseDraw allows the teacher to send a picture to the students to label or annotate and InfuseLink sends a website URL for students to simply click to go to the website. What's your favorite digital tool for formative assessment? Leave us a comment!